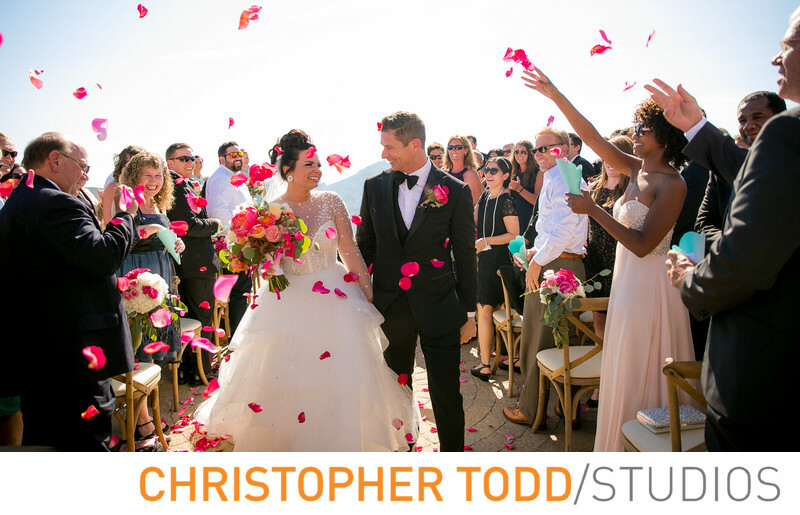 This was a spectacular wedding at the private estate Malibu Rocky Oaks Vineyard. The portrait of this bride and groom are being showered with pink rose pedals. In this photo Shana and Matt just said I do and sealed their vows with a kiss. If you are looking for a stunning wedding venue check out Malibu Rocky Oaks. I am a Los Angeles wedding photographer in Orange County. Our studio is located in Santa Ana just 25 miles from LA. We would love to talk about your big day! Get in touch today. Location: Santa Monica Mountains National Recreation Area, 340 Kanan Rd, Malibu, CA 90265 . 1/1250; f/3.2; ISO 200; 24.0 mm.